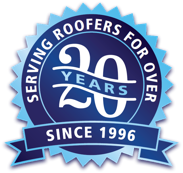 For an overview of any of our roofing solutions simply view and/or download its brochure below. Centura Steel Shingle Pressed Metal Roof System A comprehensive guide to metal roofing with Centura Steel Shingle. Includes ordering, installation, and accessory information. GrandeTile_11x17_Print-Version Pressed Metal Roof System A comprehensive guide to metal roofing with GrandeTile. Includes ordering, installation, and accessory information. Great American Shake Pressed Metal Roof System A comprehensive guide to metal roofing with Great American Steel Shake. Includes ordering, installation, and accessory information. Oxford Shingle Pressed Metal Roof System A comprehensive guide to metal roofing with Oxford Shingle. Includes ordering, installation, and accessory information.